Need shoe shining and refinishing? Perhaps you require resoling? No matter what shoe repair and maintenance service you need, Coral Ridge Mall Shoe Repair is at your service! 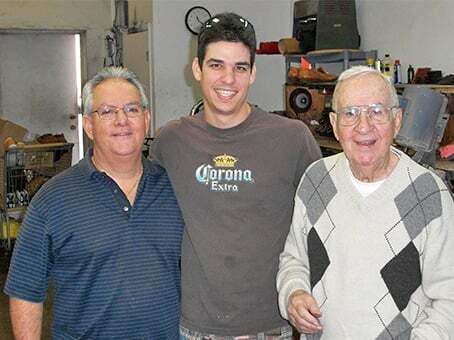 We are a family owned and operated shoe repair business serving customers in the Fort Lauderdale area since1962. Headed by father and son Fred and Patrick DeFerdinando, we take pride in offering all types of shoe services and supplies. Shopping for shoe and boot care supplies? Look no further! Here at Coral Ridge Mall Shoe Repair we carry an array of shoe products for your added convenience. Whether you need shoe polishing or water proofing, we have them all available at our shop. Check out the different supplies we have for sale. If you don't see the product you are looking for, we may be able to order it for you. Get the shoe repairs you need by turning to us. We have the knowledge, skills and proper equipment to work on your shoe service requirements. We specialize in repairing fine quality mens' and ladies’ shoes by factory methods! Visit our shop in the North East corridor of the Coral Ridge Mall, just across from HomeGoods, in between the nail salon and the hair salon. We hope to see you soon!